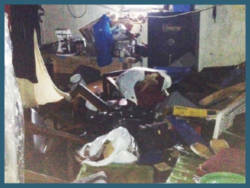 What are customers saying about Cannon Safes? 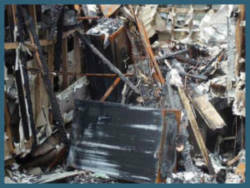 “The only items that I was able to walk away with after the fire were the items in my two Cannon Safes. I want to say thank you again for manufacturing a safe that actually protected my items, just as Cannon stated it would.” -Doug C.
To whom it may concern, I would recommend your company highly. Very impressed with your service and the attitude of your employees. There are good people left in this world. Bless you and yours in the holiday season. And thank Edith also! Cannon Safe fully submerged under water by Hurricane Sandy, locksmith opened safe within 12 hours of call, a free new safe arrived in 3 days, covered under warranty. 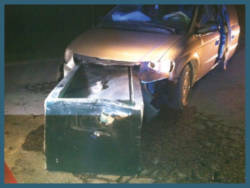 “I still cannot believe your warranty, it was the only positive news we had after the hurricane.” – Tom M.
Cannon Safe survives 2 car crashes after being dragged over 1.5 miles. “I was never worried about going on vacation or to the store because I owned a Cannon Safe.” -Chris S.
Shout out for Joe D! He was so helpful with handling my safe claim. During this historic Louisiana flood emotions are high and business must be handled. He was so kind and compassionate with my many questions and concerns. The nice voice on the other end of the phone was very comforting. Please let him know it was great working with him on this claim! Hello–I just wanted to let you know that both Angel and Alonso are great to work with. Fast (actually, amazingly fast), attentive, thorough and a pleasure to talk to. They are very good for Cannon and the customer. Please be sure you are treating them right. Thank You.